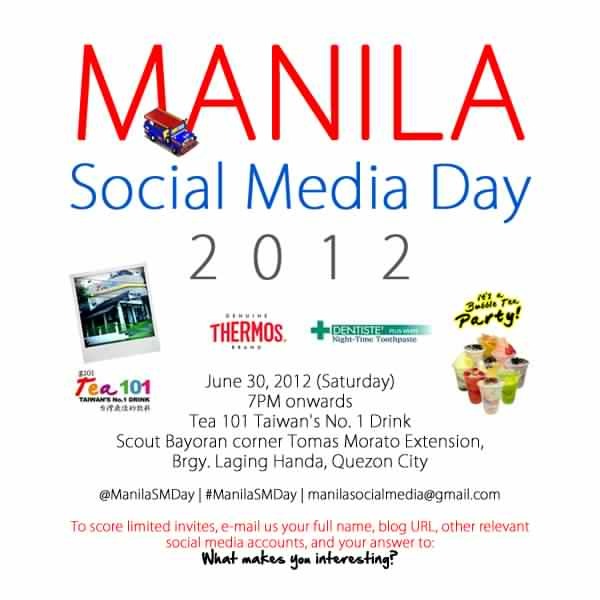 Join the Manila Social Media Day 2012! which celebrates the connected generation around the world. And Manila is joining this Worldwide Event! First, to celebrate the connected generation around the world, specifically those from Metro Manila. Second, to provide an appropriate venue for the Manila social media community to mingle and meet-up offline, which can support a better camaraderie afterwards on-line through various social media and digital platforms. Finally, to provide sponsors and event partners an opportunity to promote their products and services to the who’s who of the social media community. HOW TO SCORE LIMITED INVITES FOR THE MANILA SOCIAL MEDIA DAY 2012? -Your answer to this question: What Makes You Interesting?